In the daytime they hide by pretending to be a node on a twig. You can see their effectiveness and size in the image above. 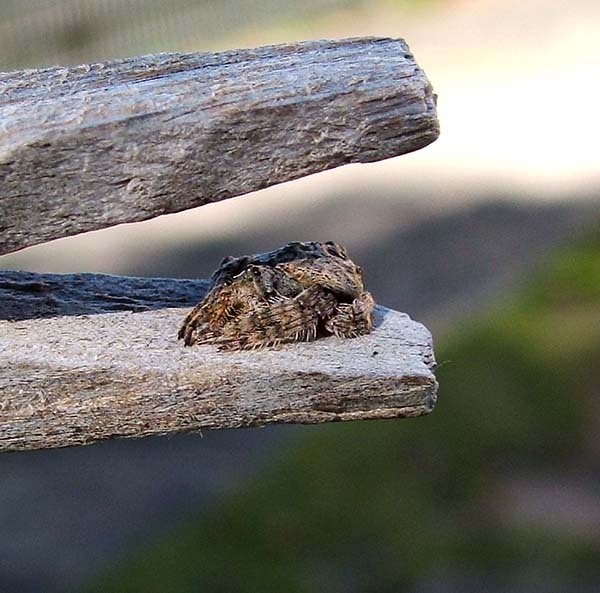 This little female is hiding out on a clothing peg. At night they are said to make little webs on nearby twigs. 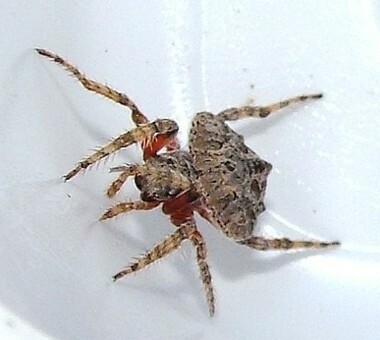 They are accepted among the Orb Web Weavers in Araneidae so the webs would be complex. 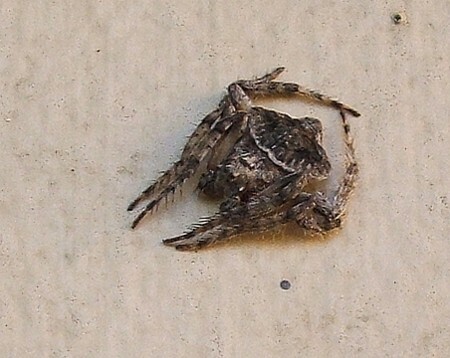 It was a surprise to find they are called Wrap-around Spider. I would have called it 'Turtle-shell Spider'. The one at the bottom is the first one I ever saw. He was on the fibro wall of the old garage and had probably been dislodged from a tree by big winds. He looked like a spatter of bird poo or mud although he is nowhere near as well disguised as some of the females who have much a larger abdomen compared to their legs.